Jr. Suite en el último piso con vistas al lago y acceso! Really nice place. Very clean and well stocked. Great pool , great bed and everyone is helpful. We come again in the fall. Quaint and quiet area. Close to Las Vegas strip or Hoover Dam. Condo was satisfactory and quiet. Needs minor updating but otherwise clean and comfortable. Lovely place but we wished the weather was a Little warmer to enjoy using the paddle boats and such. Crud was great communicating with me! We rented this cute little suite, clean, comfortable, amazing view, beautiful area, so much to do in this area. Cris and Mariana are fantastic hosts who answered all our questions. We will be back, so much more to do yet. Clean, comfortable suite, the pool area was a highlight for us after a long Minnesota winter. 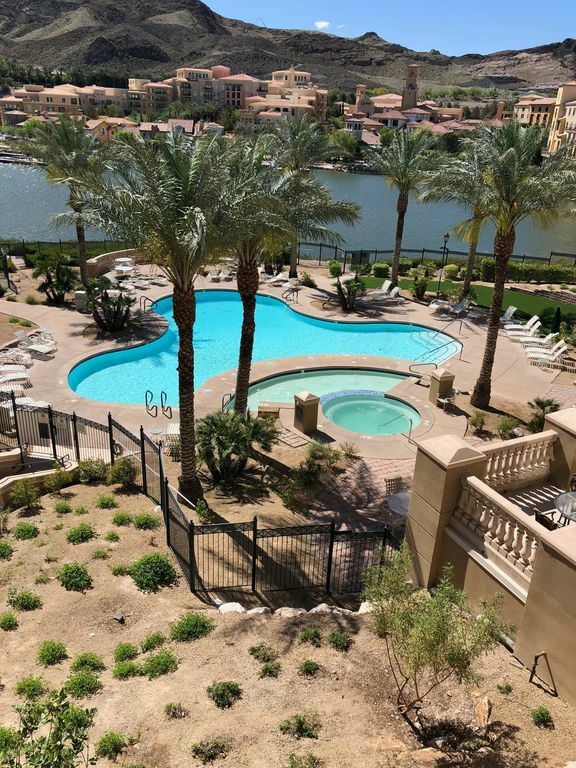 Location is perfect for guests wanting some quiet relaxation, but still very close to the action of Las Vegas and amazing hiking in surrounding parks. Nice studio! Comfortable bed, nice bathroom, good wifi, nice views. I wasn't there very long but it was very comfortable for me.